The Newseum continues to lead its charge in the fight to end sexual misconduct in the newsroom. 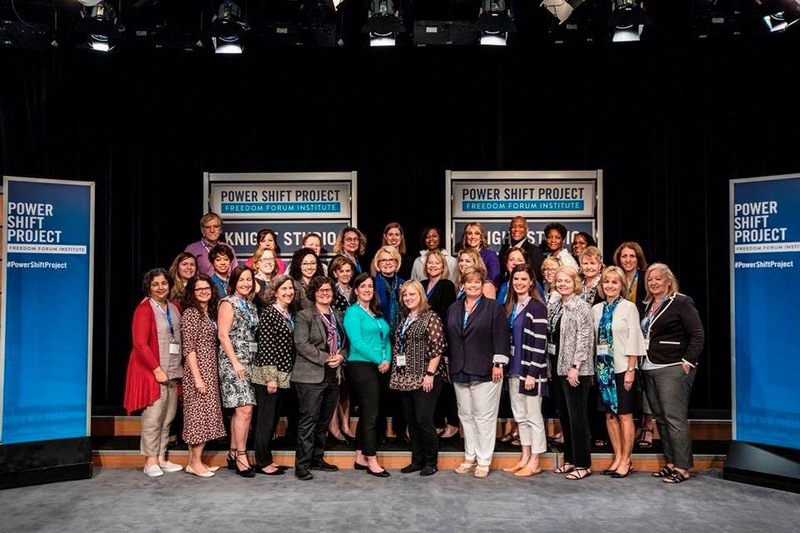 The Freedom Forum Institute’s Power Shift Project just graduated its inaugural class of 33 trainers, who now are certified to teach a Workplace Integrity curriculum to news organizations nationwide. “It was an extraordinary experience to see these journalist leaders prepare to take this curriculum into their own workplaces,” said Jill Geisler, Freedom Forum Institute Fellow in Women’s Leadership. The beta class came from a variety of news organizations, including CBS, The Washington Post, and Politico. The custom-tailored training curriculum is designed to advance the Power Shift Project goal of workplace integrity, defined as environments free of harassment, discrimination and incivility — and filled with opportunity, especially for those who have traditionally been denied it, says a release. Geisler says more trainings will be held at the Newseum on Sept. 5 and 6, and Nov. 14 and 15. Applications now are being accepted from individuals in the news industry and related educational institutions who could deliver the training in their own organizations or who would be committed to teaching the curriculum to other media organizations. In January, the Newseum invited more than 130 newsroom leaders, editors, reporters, and advocates to its Power Shift Summit, which helped identify problems and generate solutions to the problem of sexual misconduct in the newsroom. Soon after, the summit released a 21-page report: Ending Silence and Changing Systems in the Media Industry. The report identifies seven key principles and calls for the repair of systemic failures, including the ability to report misconduct without fear of retribution, harassment training for employees at all levels of an organization, and a human resources process free from apparent and inherent bias. The Freedom Forum Institute’s newly-graduated trainers now are qualified to teach the curriculum in their own news organizations. The graduates. Top row (from left to right): Marty Kaiser, Jennifer Legat, Margaret Holt, Karen Raffensperger, Rebecca Feldhaus Adams, Sharahn Thomas, Susan Ramsett, Mizell Stewart, Shirley Carswell, Lynne Adrine. Middle row (left to right): Kat McKibben, Sonya Gavankar, Sharon Masling, Katherine Ellis, Jan Neuharth, Jill Geisler, Cathy Trost, Jan Goldstein, Kathleen Culver, Candy Altman, Roseann St. Aubin, Karen Testa. The two-day training and workshop also included a briefing with experts from the U.S. Equal Employment Opportunity Commission and the National Women’s Law Center on anti-harassment and discrimination law, and evidence-based best practices for creating safer, more diverse and inclusive workplaces. Geisler was invited to speak before the EEOC’s Select Task Force on the Study of Harassment in the Workplace on June 8. Expert witnesses discussed “Trans­forming #MeToo into Harassment-Free Workplaces” at the open meeting.